In marketing and communications, just as in sport, success is not just a matter of chance. It comes from experience and training, from talent and intelligence, from teamwork and from applying winning strategies. DAO has been working for a number of years in sports marketing and communication, providing a wide selection of services that range from sponsorship and organisation of major national and international sporting events and working as advisors to important sports organisations and clubs, to image rights management for athletes from various different sports. Our guiding principle is to improve every day, to guarantee our clients ever-higher standards. And that is what inspires our team and what has taken DAO to an acknowledged position of excellence in all the areas where we work. aximise the value of the image of the companies, organisations, sportspeople and every client who entrusts us with the task of guaranteeing the best return on their investment. Consequently, we take every project through to completion, led by our values and working with all the depth of skill and ability at our disposal. ur lengthy experience means we are able to offer the best professional and multidisciplinary consultancy in sport-related marketing and communication, both in terms of strategy and execution. Advertising, corporate communications, PR, events, sponsorship, image rights: all of our skills are there to be used by our clients to provide quality, personalised solutions which answer their needs as effectively as possible. e are determined, aware of our capabilities, and always ready to accept new challenges, even the most difficult. These include the 2009 Swimming World Championships, the 2011 Fencing World Championships, the Internazionali d’Italia BNL tennis tournament, the UEFA Champions League, partnerships with prestigious football clubs like AS Roma and Bologna FC and work with world champions in a wide range of sports: these are just some of examples of the great challenges we have become involved in over the years and reflect the true depth of our abilities, better than any words can. ur working method is based on four key elements. We start with a first phase of analysis, through a deep understanding of the situation and environment, to define the client’s precise aims and expectations. We follow a precise project management process, in which each action is organised and planned according to the final goal. We work in teams, to identify the best solutions, getting the most out of both competition and collaboration. In this way, we can also manage the most complex projects: indeed it is because of our constant monitoring of all operational activity that we are able to deal with critical moments in good time and to put in place the solutions needed to resolve any problem. oing the right thing. Our only interest is the client’s interest. That is why we only do what is right for them, and favour long-term relationships over short-term gain. Trustworthiness. We guarantee that the results we promise will be achieved. Without stopping at the desired aim, we continually strive to amaze, and to surpass initial expectations. Accuracy. We take great care with every detail, and in every aspect of our work, avoiding starring roles and individualism, so as to provide the client with a piece of successful work. Attention. We believe in sharing ideas, in dialogue and in exchanging opinions. To improve team results and reach increasingly important targets. ponsorship and sport, a pairing that has by now become inseparable, boosting both brand recognition and return on investment. It has to be focused on the final goal, it has to be sustainable and aimed at the most interesting audience. Our main aim is to help companies to generate visibility and prestige through sport, analysing and identifying the most effective positioning in the context. DAO is involved in researching and implementing innovative sponsorship, advisory, corporate and advertising projects and solutions, as well as image rights management for elite sportspeople competing at national and international levels. Since 2004 we have been Advisor Marketing Services & Event Agency for football club AS Roma, generating sponsorship and managing the Hospitality Premium service at the Olympic Stadium. Since 2013 we have been Advisor to the Italian National Olympic Committee (C.O.N.I.) and Coni Servizi spa with the job of generating sponsorships and partnerships with first-rank Italian and international firms, a task that was also performed for the Sochi Winter Olympics in 2014, and for CONI’s centenary celebrations and Rio De Janeiro Summer Olympic Games in 2016. Since 2014 we have been working together with the UEFA Champions League to manage hospitality services at the Olympic Stadium. Since 2015 DAO is Commercial Advisor of many top Serie A and B Clubs. The Italian Tennis Federation (FIT), to market Corporate Hospitality at the Internazionali BNL d’Italia tournament. DAO has handled sponsorship at international sports events, such as the Swimming World Championships in Rome 2009, the 2011 Fencing World Championships held in Catania, and the semi-final of the Fed Cup 2013 in Palermo. DAO manages the image rights of elite sportspeople who compete at national and international levels. We follow our athletes both during and outside competitions. Our commitment is to guarantee them the same degree of importance, whether as champions or as well-known personalities, helping them to become winners in life as they are in sport. To achieve this we build a long-lasting relationship with them, a relationship based on honesty and transparency, negotiating the best sponsorship contracts to get the most out of their image – while at the same time protecting it – with respect always shown for the ethical and sporting values of the athlete as an individual. Communications activity, giving testimonials in advertising and promotion campaigns. La Campionessa italiana dei tuffi Tania Cagnotto è la nuova Testimonial di PosteMobile per il lancio dell'offerta Creami Revolution. L’obiettivo della campagna è quello di promuovere le opzioni dell’offerta ricaricabile. Lo spot è on air in tv dal 14 maggio, in concomitanza con la gara di addio di Tania all’attività agonistica, e lo sarà fino al 3 giugno. La pianificazione prevede un media mix che include anche radio (dal 28 maggio al 17 giugno), stampa quotidiana e azioni digital con video strategies e l’attivazione di influencers per generare conversazioni sul prodotto e sull’offerta. Il media mix, inoltre, prevede la distribuzione di materiali Btl negli Uffici Postali italiani. Linkem, per la sua campagna 2016 "Navighi bene e ti conviene" ha voluto due Campioni del nuoto azzurro: Tania Cagnotto e Gregorio Paltrinieri. L’azienda, che da sempre si definisce "sponsor dei valori", ha scelto due grandi sportivi che hanno fatto della determinazione, della trasparenza e del sorriso il loro tratto distintivo. Tania Cagnotto, con la sua tenacia, rappresenta appieno la forza e allo stesso tempo la freschezza dell’azienda. Gregorio Paltrinieri, invece, record mondiale nei 1500m stile libero in vasca corta e campione del mondo 1500m, si associa alla perfezione al concetto di libertà proprio di Linkem. I nostri Atleti, in compagnia della Iena Filippo Roma, sono stati protagonisti della celebre intervista doppia de «Le Iene». La campagna, su web e Tv, è iniziata a fine marzo e si è protratta per tutto il corso dell’anno. Dopo il successo del 2016, la campagna pubblicitaria di Linkem "Navighi bene e ti conviene", che ha visto protagonisti Gregorio Paltrinieri e Tania Cagnotto, continua anche quest’anno. L’azienda leader in Italia nel settore della banda larga wireless decide di puntare ancora sul giovane Campione del nuoto azzurro: Gregorio Paltrinieri, medaglia d’oro a Rio2016, continuerà infatti a indossare le vesti di Testimonial Linkem anche nel 2017. 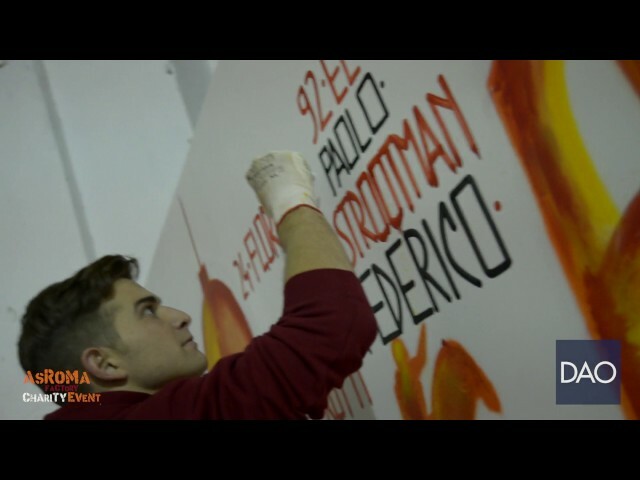 Lo spot è stato girato il 1 marzo presso il Centro Federale di Ostia e vede il nostro Gregorio accanto alla Iena Paolo Calabresi. Il filmato è stato trasmesso via web e tv a partire dal mese di aprile; quello che vediamo qui è un breve estratto del backstage. DAO plans, coordinates and provides high quality standards services for national and international prestige events. Following a careful analysis of the brief, it proposes operational plans related to the individual needs and realized with excellent and avant-garde solutions. From scenery and technological fittings, to ceremonies for institutional events, from ATL, BTL and social media communication to staff selection and training, we take care of every single detail that can make an event memorable, guaranteeing our clients the visibility they deserve. Professionalism, excellent customer service and operational efficiency are the distinctive traits that make us a reference point in the sector in Italy and abroad. 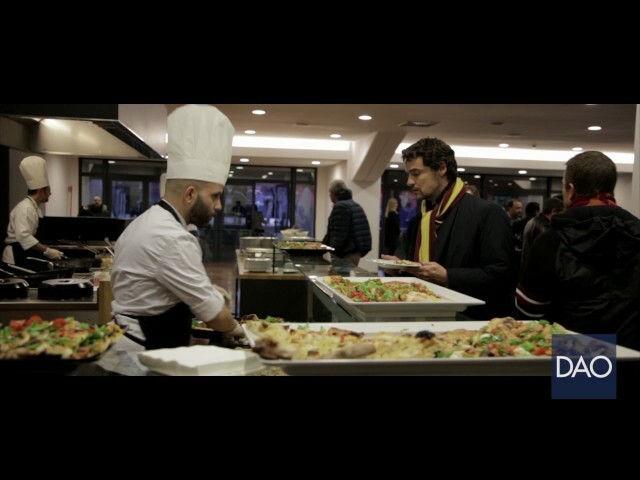 L'evento è stato organizzato dalla fondazione “Roma Cares” con la presenza di tutta la squadra giallorossa. Il ricavato della cena Istituzionale è stato interamente destinato a sostegno del progetto: “Calcio Insieme - Accademia di calcio integrato”, dedicato a ragazzi e ragazze dai 6 ai 12 anni affetti da disturbi cognitivi. L'evento è stato organizzato dalla fondazione “Roma Cares” con la presenza di tutta la squadra giallorossa. Lo scopo della cena Istituzionale era la raccolta di fondi da devolvere ai progetti dedicati ai bambini affetti da disabilità intellettive. DAO is specialized on project and development of hospitality services and guest relations. ospitality is now viewed as one of the most profitable services in terms of client acquisition and loyalty. Experiencing the emotion of seeing one’s favourite sport or player from a front-row seat draws people closer, enhancing communication and ease of rapport and work in a B2B context. UEFA Champions League Final, 2009.